Imploding Fiction produced Flap and fear for Theater Drachengasse in Vienna, Austria, in response to the theme “scaremongering”. Collaborating with playwright Darren Lerigo we produced Flap and fear, an exploration of what we are afraid of – starring two drunken pigeons in a pub. 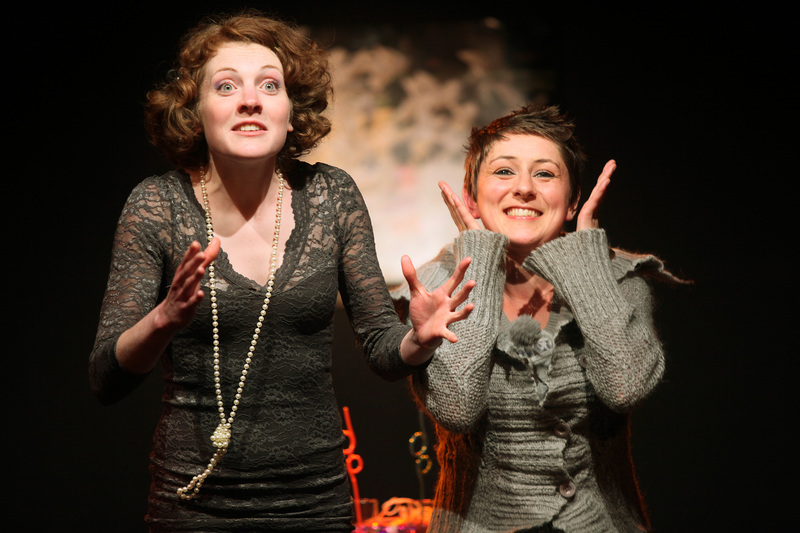 The play opened on the 3rd May 2010 as part of Theater Drachengasse’s Newcomer-scheme and ran for three weeks in their café-theatre space Bar&Co. It was performed alongside 4 other pieces based on the same theme, and the evening was entitled Angstmacher. Through Imploding Fictions’ project Oslo International Theatre (OIT) the piece has been developed further, culminating in a performance in Oslo on October 21st 2010 at Vardeteatret in Oslo. Do you want to see a video of the performance in Vienna? Please email us, and we can send you a private YouTube link. 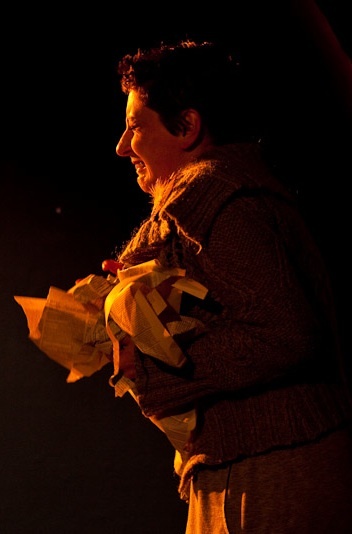 Flap and fear – THEATER DRACHENGASSE – Bar&amp;Co: 3.5. – 22.5.2010: DIE ANGSTMACHER – Nachwuchs-Theater-Wettbewerb 2010 – Das Finale. Im Bild: FLAP AND FEAR: Lauren Mccullum, Rowena Hutson. Urhebernennung: ©Andreas FRIESS / picturedesk. Veroeffentlichung für Presseankuendigung honorarfrei bis 31.8.2010. Andere Verwendung honorarpflichtig und nur nach schriftlicher Genehmigung von: APA-PictureDesk, Laimgrubengasse 10, 1060 Wien, Tel. +43/1/360 60-5959, Fax. +43/1/360 60-92 5959, office@picturedesk.com, http://www.picturedesk.com.